One of those people is Marzyeh Ghassemi. 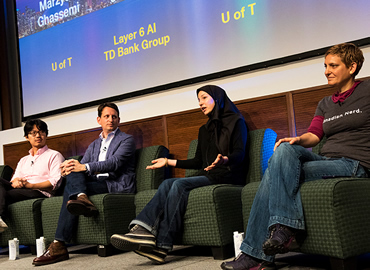 She joined U of T's departments of computer science and medicine [Faculty of Medicine] as an assistant professor this month after completing her PhD at the Massachusetts Institute of Technology and post-doctoral work at Google. Her research focuses on using machine learning algorithms to make better health-care decisions. Examples include predicting the length of hospital stays to determining when patients might need a blood transfusion.